Tags: CAS-Chinese Academy of Sciences, ESA ( 316 ), ESA is also responsible for: the payload module spacecraft test facilities; launcher; launch campaign; the primary ground station; ESA will share science operations with CAS, Every 51 hours Smile will fly out to 121000 km giving it a prolonged view of Earth’s northern polar regions. It will then return to within 5000 km, Joint ESA CAS Smile mission, Revolutionise scientists’ understanding of the physical processes taking place during the continuous interaction between particles in the solar wind and Earth’s magnetic shield – the magnetosphe, The 2200 kg spacecraft will be placed in a highly inclined elliptical orbit around Earth, The innovative wide-field Soft X-ray Imager SXI from the United Kingdom Space Agency and other European institutions will obtain unique measurements of the solar wind impacts on the magnetosphere, The National Space Science Center (NSSC/CAS) in China is responsible for: the spacecraft platform; spacecraft testing; mission and science operations. The platform will be built in Shanghai, The prime mission will last three years, The satellite will be able to make continual observations of key regions in near-Earth space over a period lasting more than 40 hours, The two Chinese instruments- the Light Ion Analyser (LIA) and Magnetometer (MAG) will measure the energetic particles in the solar wind and changes in the local magnetic field. 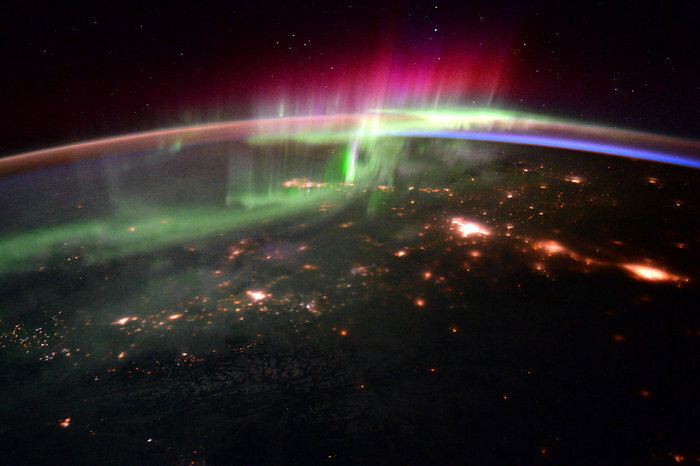 One of the most beautiful sights on Earth, the northern and southern lights are auroras that shimmer and dance through the sky at our planet’s poles and high latitudes. These phenomena are caused as charged particles stream inwards from the Solar System, colliding and interacting with particles at the outer edges of our atmosphere. These beautiful light shows are experienced by bodies throughout the cosmos, such as exoplanets, various stars and other quickly rotating bodies. This image shows a striking aurora weaving its way across northern Canada, showcasing vivid ribbons of pink, green and blue. It was taken from orbit by ESA astronaut Tim Peake on 20 January 2016, during his stay on the International Space Station. This view was photographed looking northeast from a point just north of Vancouver; the Canadian Rockies and Banff and Jasper national parks lie in the foreground with very few lights visible, while the bright patches mark the locations of (from left to right) Edmonton, Red Deer and Calgary. The most active part of the aurora lies over Fort McMurray in Alberta, Canada. “Smile will provide the first X-ray images and movies of the region where the solar wind slams into the magnetosphere,” says Philippe. 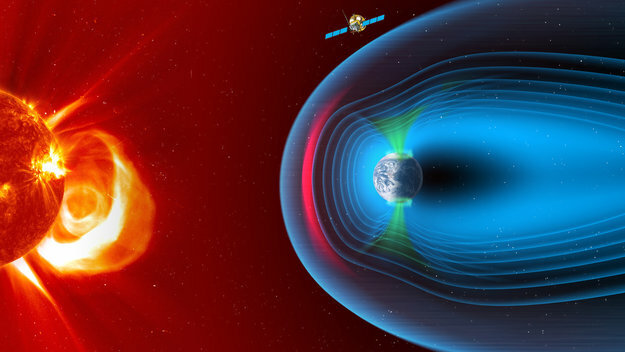 “It will also provide the longest-ever ultraviolet imagery of the northern aurora, enabling researchers to see how the aurora changes over time and to understand how geomagnetic storms evolve. The Smile proposal was led by UCL’s Mullard Space Science Laboratory in the UK and the National Space Science Center (NSSC) – State Key Laboratory of Space Weather in China.